Ah, the great debate: granite vs. quartz. 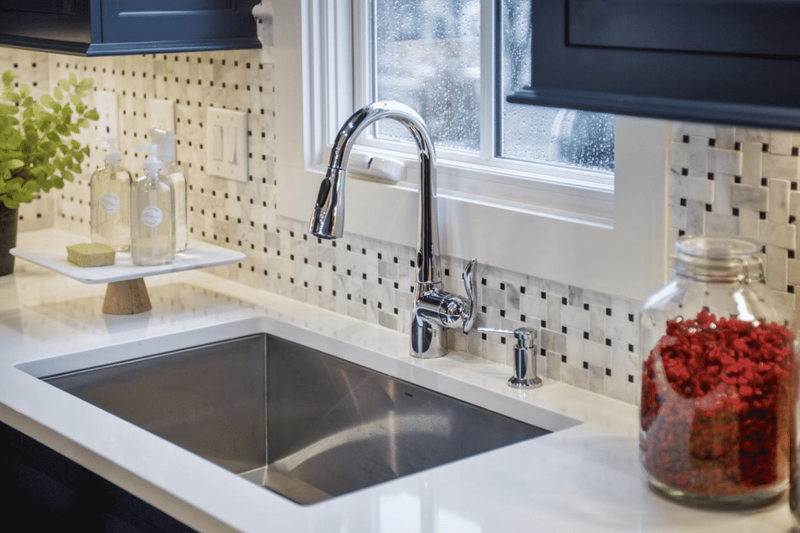 Whether it’s your kitchen or your bathroom, a brand new and custom-built home or a fixer-upper, the answer to this question depends on a few factors. Do you want durability? Are you looking for natural stone or something engineered to last? Do you want unique or something made to fit exactly what you want? If you answered natural and unique, then granite might be the stone you lean towards. 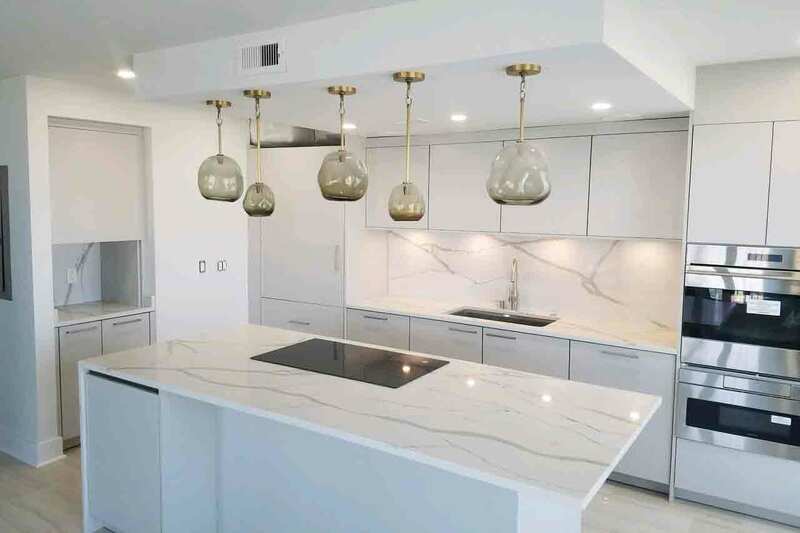 However, if you want natural-looking and durable yet also customizable, then engineered quartz might be the better option. 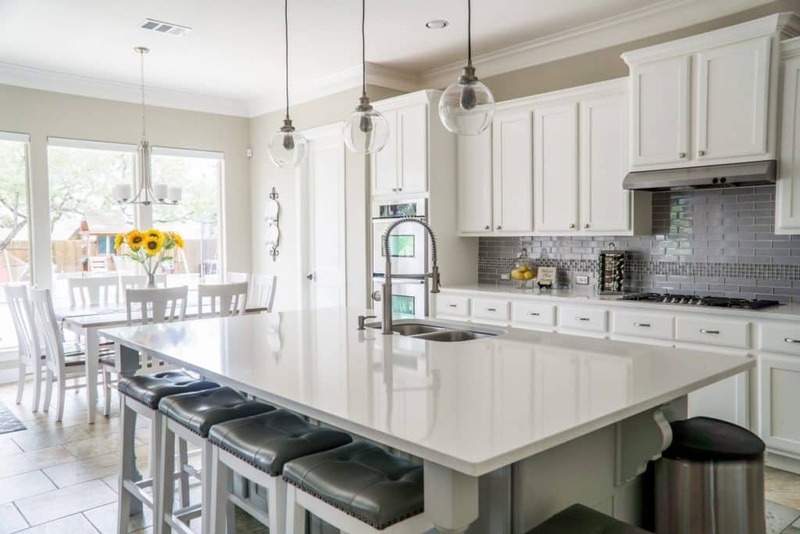 Did you know that granite is actually made of quartz and other minerals and that the quartz found in the quartz countertops in so many homes is considered a man-made product? Well, it’s true! Granite is an “igneous rock,” which simply means that it’s formed when molten rock cools. The other minerals present in granite (such as quartz) affect how granite looks, given the amount and variation of these other minerals. On the other hand, quartz is generally an engineered stone. Although the stone found in countertops and bathroom fixtures is 90% quartz, according to this scientist, the rest is made from “resins, polymers, and various types of pigments” (i.e. types of plastics). The final product is durable and contains no cracks or pores, which you’d find in granite. Granite still finds its way into many homes! The lure of granite may stem from the fact that it’s 100% natural, mined from quarries around the globe, and finished to fit your kitchen. (The mining process and transport can be quite expensive, though.) Given it’s a natural stone, the colors, patterns, and textures that are created depend on the way in which the molten rocks cooled, giving each slab an inherent uniqueness. Much like the saying goes about snowflakes: No two pieces of granite are the same, either. Although the popularity of granite comes from being a natural stone, so too does its drawbacks. In comparison to quartz, more maintenance goes into having granite countertops. You should clean the countertops daily (commonly with warm water and soap). Sealing the stone is highly recommended to prevent stains and water damage. Despite the maintenance, granite is still quite durable and resistant to heat. (However, “high impact blows” to the surface may cause cracks.) And, at the end of the day, a home with granite countertops is still gorgeous and a great long-term investment. On the other hand, quartz countertops are quickly rising in the ranks as the preferred stone for kitchens and bathrooms. In direct contrast to granite, an engineered stone like quartz is ridiculously durable, stain resistant, water resistant (due to the lack of pores and cracks in the surface), and also bacteria resistant. (However, it isn’t entirely heat resistant, so be sure to use hot plates.) 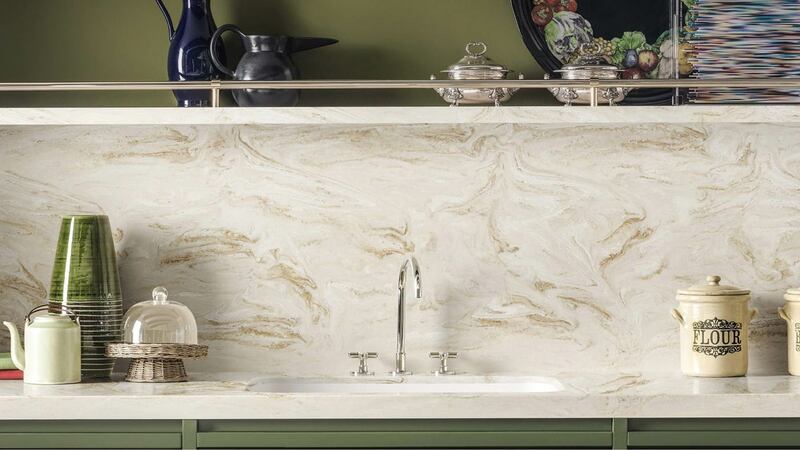 Since quartz is man-made, the stone’s color can be customized to perfectly fit your home. You’re given the appearance of natural stone, but with numerous options in overall look. 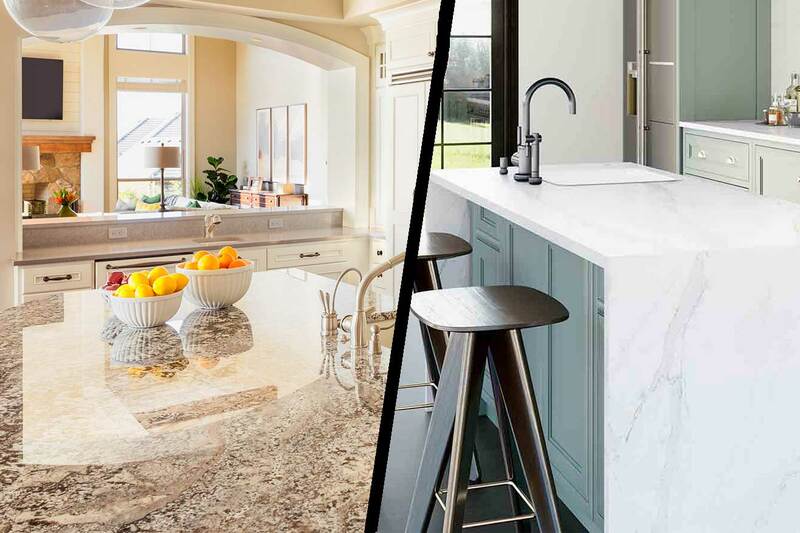 Are you building a new house or renovating your kitchen and want to learn more about your granite and quartz countertop options? MultiStone has a wide number of styles and our stone experts can help design and install the perfect countertop for your kitchen or bathroom.